Built in 1992 to celebrate the 25th year of the current sultan’s reign, Brunei’s largest mosque and its four terrazzo-tiled minarets dominate the ‘suburbs’ of Bandar Seri Begawan. It’s certainly a noticeable building; because the sultan is his dynasty’s 29th ruler, the complex is adorned with 29 golden domes. At night the mosque is lit up like a gold flame. The interior is best described as jaw-droppingly over-the-top. The sheer volume in itself is amazing, not to mention the myriad woven rugs scattered across the men’s prayer hall. 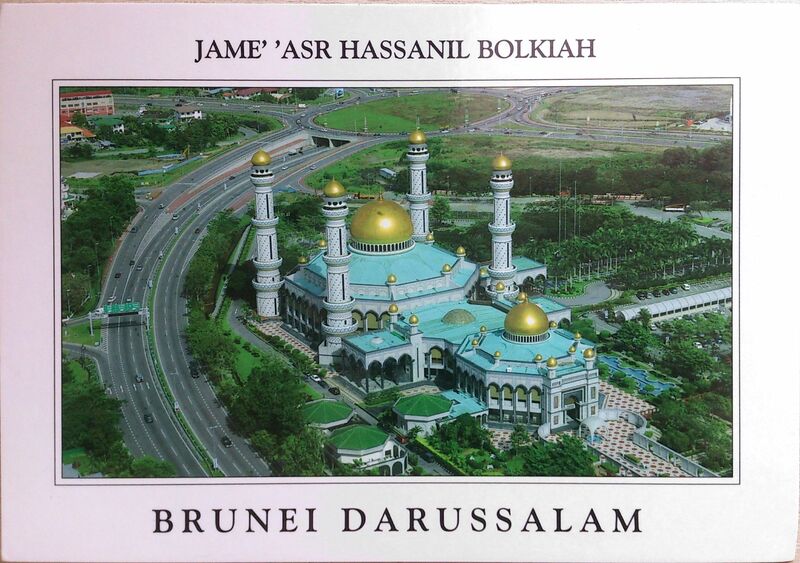 This entry was posted in Brunei and tagged Bandar Seri Begawan, Brunei, Jame' Asr Hassanil Bolkiah Mosque, Kiarong Mosque, Mosque, Sultan Haji Hassanal Bolkiah. Bookmark the permalink.